Since the early days of human civilization, one of the most critical problems has been transportation. While today trucks transport cargos over thousands of miles, light items are still being carried in wheelbarrows or trailers attached to compact tractors or ATVs. Such a solution may seem appropriate but not in the case of repeated passages to a specific location or in the case of travelling for only few miles, for example, removing of grass clippings and fallen leaves, construction debris removal, and garbage collection. Small-sized transport robots such as SRX1 and SRX3 can successfully perform the above tasks. SRX1 can successfully transport a trailer with a load weighing up to 120 pounds, while SRX3 can move a load of up to 440 pounds, respectively. Both robots are equipped with electric engines that ensure noiseless operation without any exhaust smell, which allows for operation that is not disturbing to people around. Reserved energy stored in build-in accumulators can last for dozens of miles of cyclical operation. There are two ways to program the robot’s route map. First, a route can be selected on a digital map by using a PC tablet attached to the robot. 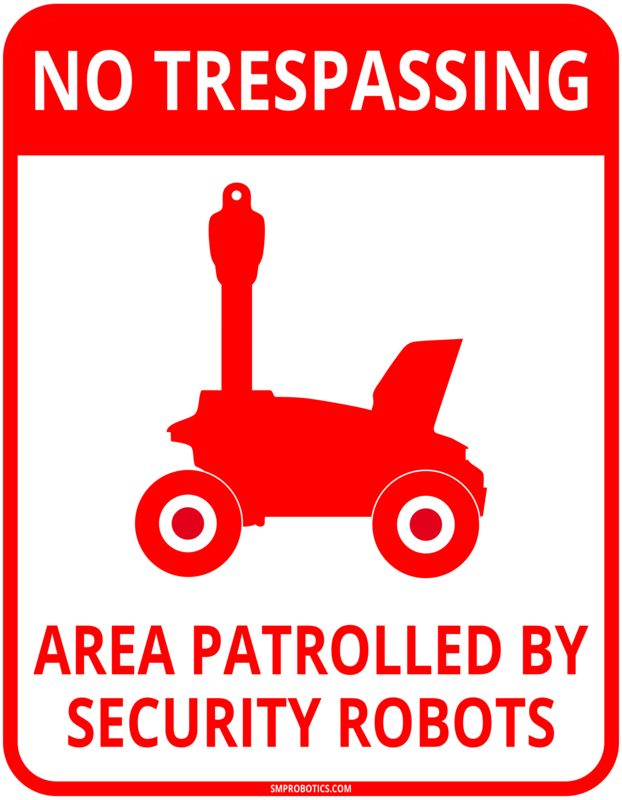 The second way is to walk in front of the robot on a desired route. 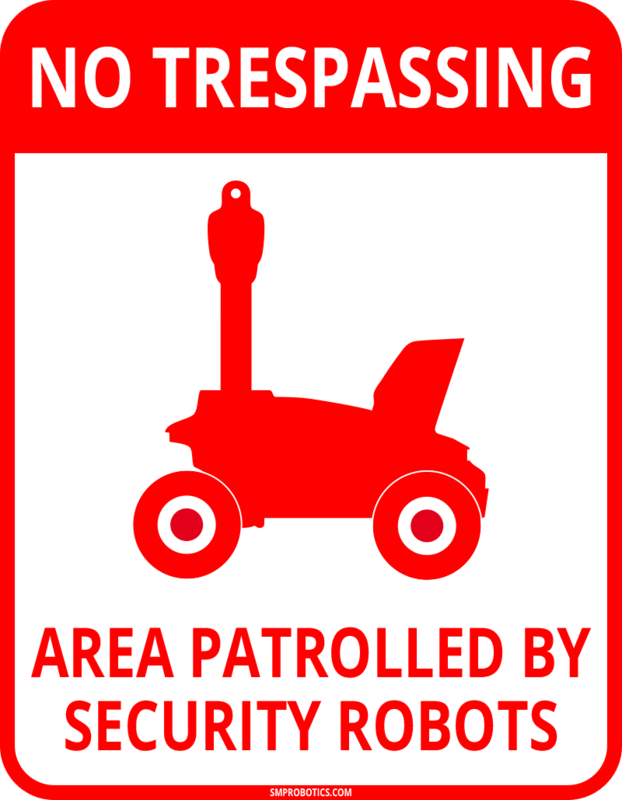 The robot moves behind an operator in the ‘follow me’ mode and compiles a digital map for future autonomous navigation. A trailer for transportation of bulk goods has a side dropping mechanism to allow automatic unloading without an operator’s intervention. 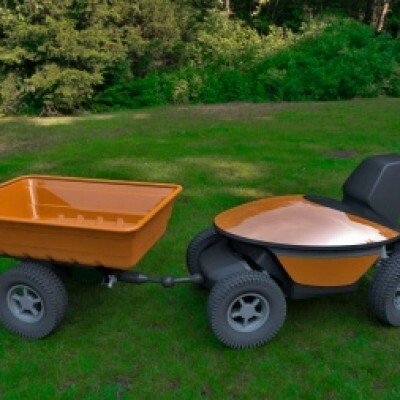 A trailer fitted with a water tank is suitable not only for water transportation but also for watering grass and other plants. This function is particularly useful in moderate climates with sufficient precipitation, where the building of fixed irrigation systems is not suitable. At the same time, there are times when watering is vital. On such occasions, using an automatic self-moving watering system based on the SRX3 chassis is convenient. A water tank holding 52 gallons is sufficient for watering 10-22 square yards of lawn space. The robot can also be programmed to automatically refill its water tank for watering larger areas. The robot’s watering system is equipped with a pump, which allows the robot to reach distant parts of lawn from pathways without harming the grass. The certain advantage of these wheeled robots is their ability to operate in a fully automatic mode — they are capable of moving along predetermined routes and performing specified tasks without an operator’s involvement.